Alabang is a district in Muntinlupa City, Philippines. For a time, the area was a farming district, and has since grown from a village to a commercial center, including the Alabang Commercial Center and Filinvest City. This area is a part of the second district of Muntinlupa. It has undergone tremendous growth mainly due to big development projects in the late 1990s. The development of private and high-end large scale commercial real estate projects like the Filinvest City changed the landscape of Alabang from what was once vast fields of cow pasture in the late 1980s, into a district that houses new residential, business, industrial and commercial establishments. Today, Alabang boasts a booming economy and is now known as a home to big companies like The Hershey Company, Shell Philippines, the Asian Hospital and Medical Center, hotels like Crimson Suites, Acacia Hotel, The Bellevue Hotel and Vivere Suites, with the future development of The Peninsula Hotels in Filinvest City. Exclusive residential areas like Ayala Alabang and Alabang Hills are known to house expats and some of the richest and popular local movie and political icons. 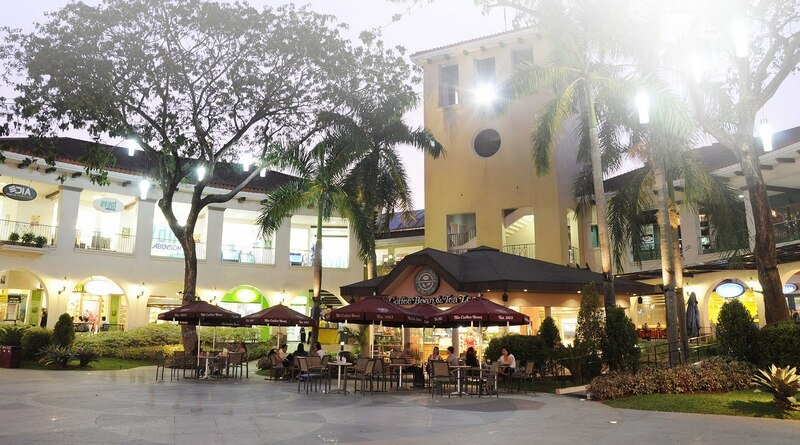 In Alabang, you’ll also find recreational venues and big malls like the Festival Mall and Ayala’s Alabang Town Center. 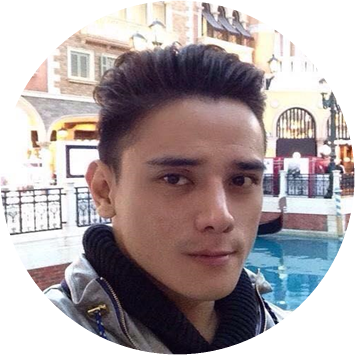 Let’s spend a whole day in Alabang together. Let’s re-discover what this town has to offer. But be warned, Alabang is best enjoyed with a car, so if you don’t have one, better get your Uber app and schedule your trips around the area. While walking is not so bad, be sure to put on your sun screen and your favourite sunnies. Wake up and smell the nice morning breeze. It’s time for a nice morning run or good stretch in a nice yoga class. At this time, the sun is already shining high and bright so unless you’re willing to take the heat, I’d suggest you go to an indoor fitness center to engage in some physical exercise. Down in West Gate, you’ll find Fitness First Platinum and over at Molito Complex, you’ll find Golds Gym. Both of these clubs accept daily, weekly and monthly passes depending on your needs. I’d personally recommend for you go to Fitness First so you won’t have to worry about wet towels in your bag after your workout. Towels and other necessities are provided. Daily rates start at 500 pesos and up. 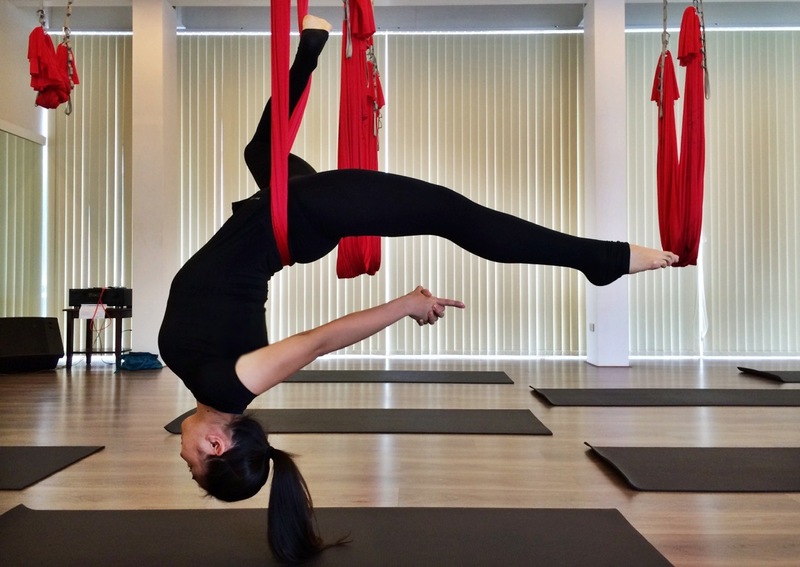 For those of you who’d like to try anti-gravity yoga, book your starter pack at Beyond Yoga, right beside Fitness First. Starter packs are offered at 1,500 pesos. Parking is relatively easy and it costs 40 pesos, more or less. If you are not willing to pay the rates, you may opt to do this in the comfort of your own home. Freshen up after a nice workout. Drive over to Alabang Town Center. Cafe Mary Grace offers good quality coffee, tea and a breakfast menu that is set to make your morning boost an absolute delight. Choose from an all Filipino breakfast set or their special Brioche French Toast served with grilled peaches, cashews and whipped cream. You may opt to add eggs cooked to your liking. Enjoy the homey vibe in this cafe with comfortable seats, free wifi and excellent service. 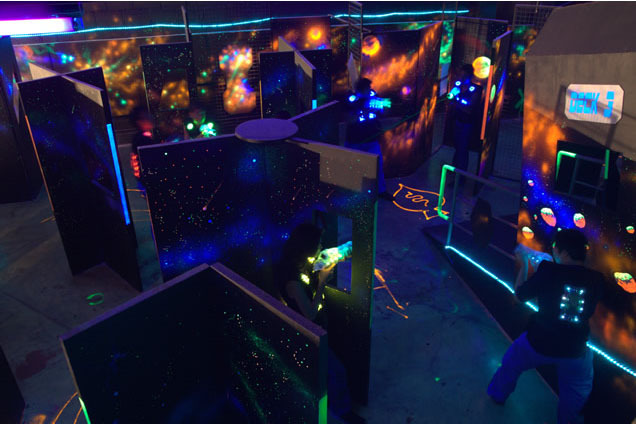 If you are enjoying the day with a group, laser tag sounds like fun. Go to LazerXtreme also in Alabang Town Center, near the cinemas. Admission rates start at 170 pesos on weekdays and 190 pesos per game on the weekends. If you are keen on enjoying a package, try getting ten games for only 500 pesos per person. Time to reload after a long game. 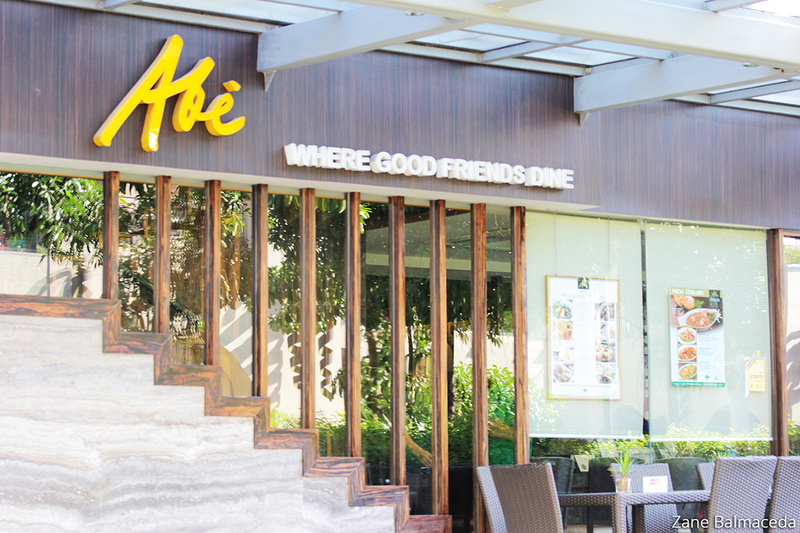 There’s a lot of old and new restaurants in Alabang Town Center, ranging from Filipino, Chinese, Japanese and Western cuisines. But I personally recommend Abe – Where Good Friends Dine. Serving traditional Kapampangan Filipino dishes. New on their menu are the Klassik Kaldereta and Sinigang sa Ube. Head over to the cinemas. 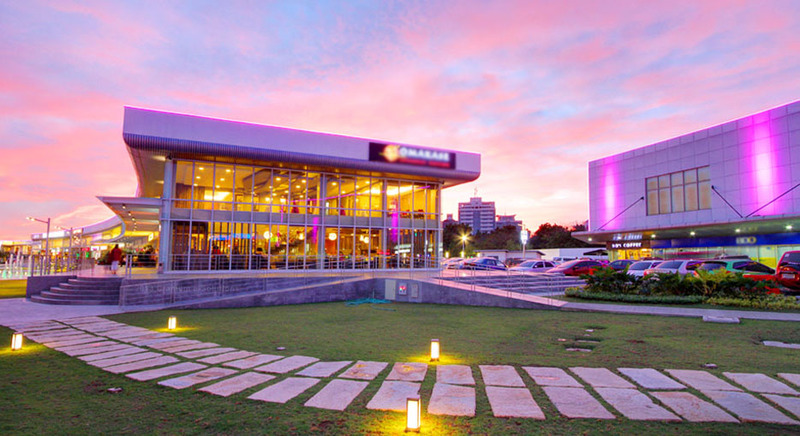 Alabang Town Center boasts its new cinemas with digital surround, huge screens and comfortable seats. Showing both 2D and 3D films, you might want to check it out for yourself and enjoy the latest films in town. The houses open from 11:00am till late with an admission fee of 200 pesos and up. You can either enjoy this time to go shopping or enjoy the happy hour offerings from the bars around town. 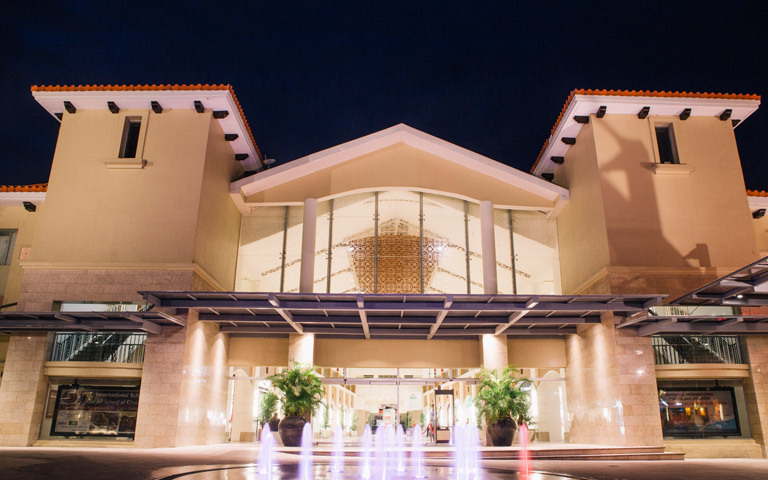 If you prefer to shop, Rustans is the best place for you in the area. You can find things that are hard to find and it will make you feel like you are shopping outside the Philippines when you see what merchandise is available in the shop. If you and your group prefer to enjoy happy hour, drive over to Molito just one block away from ATC. You’ll find Draft Gastropub at the back side and they’ll be ready to serve your favourite ice-cold beer at really affordable prices. Molito is pet friendly, so if you happen to have a dog, you may enjoy this nice afternoon for a nice walk around the open lawn. Time for dinner. Drive over to Filinvest City and find Vivere Suites. They have a rooftop restaurant called The Nest. 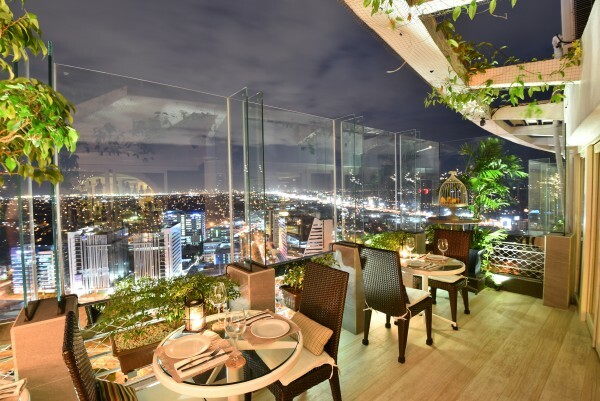 This is the highest dining point you’ll find in Alabang, offering a great view of the city including the skyline of Makati, the view of Manila Bay and the mountains of Laguna and Batangas. Enjoy their western dishes on the menu with a wide selection of good wine, cocktails and mocktails for you and your friends. Be sure to make reservations if you want to spend the evening at The Nest. 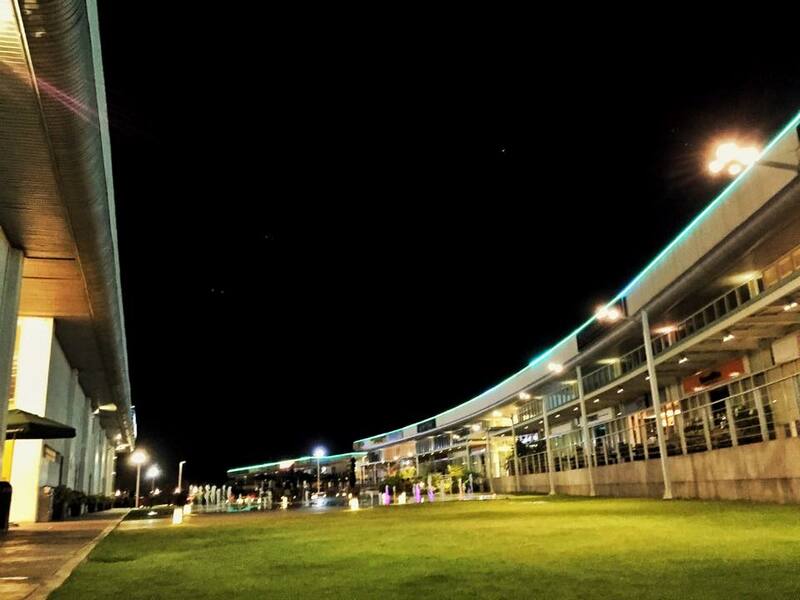 This is a nice, relaxing way to end your day spent in Alabang. If you happen to be around the southern part of Metro Manila, take this guide with you and enjoy the city’s most amazing spots.